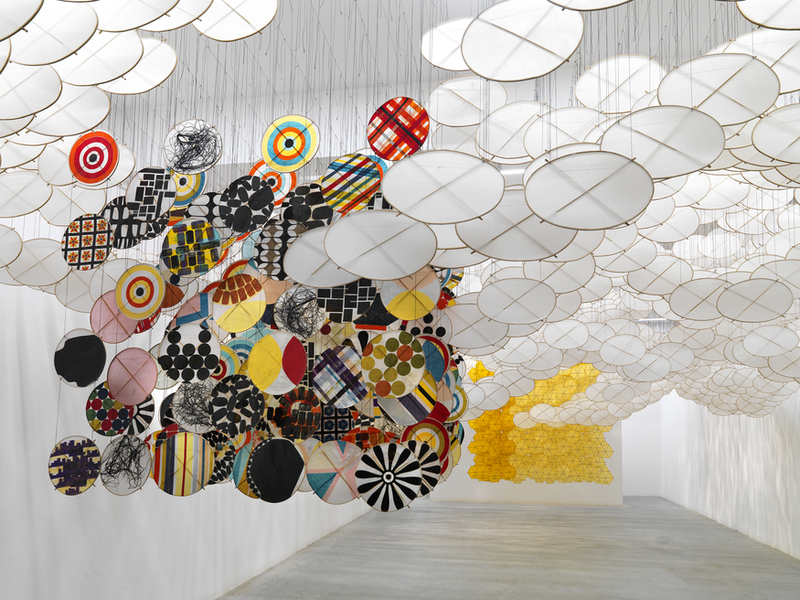 Jacob Hashimoto, The Other Sun (installation view). Courtesy Ronchini gallery. Many people have happy childhood memories of flying kites and that perfect moment when the kite cuts across the sky and sunlight diffuses through it. 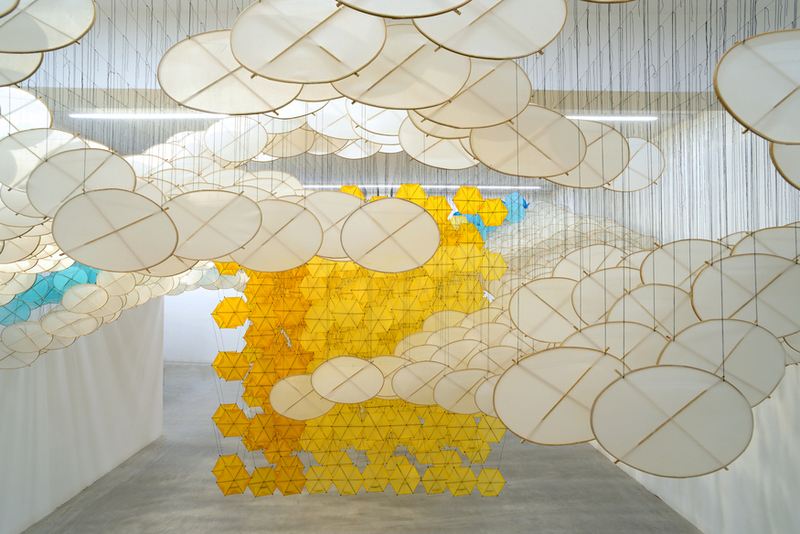 Jacob Hashimoto has replicated this effect on a grander scale with his latest site-specific installation at Roncini gallery. 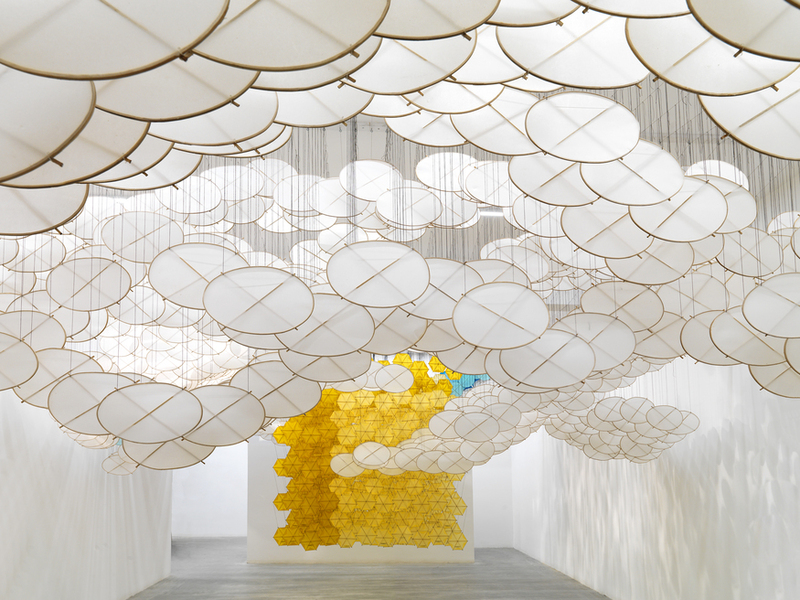 He has created a set of miniature kites using coloured paper and bamboo that form a landscape hanging from the ceiling. A central yellow mass represents the sun, and it's flanked by blue sky and white clouds. Walking under the clouds as they undulate transports the viewer to a child-like world where it's always sunny. The kites are hung just above head height and provide a feeling of having your head in the clouds. It's enjoyable to wander below them and soak in the optimism of this work. 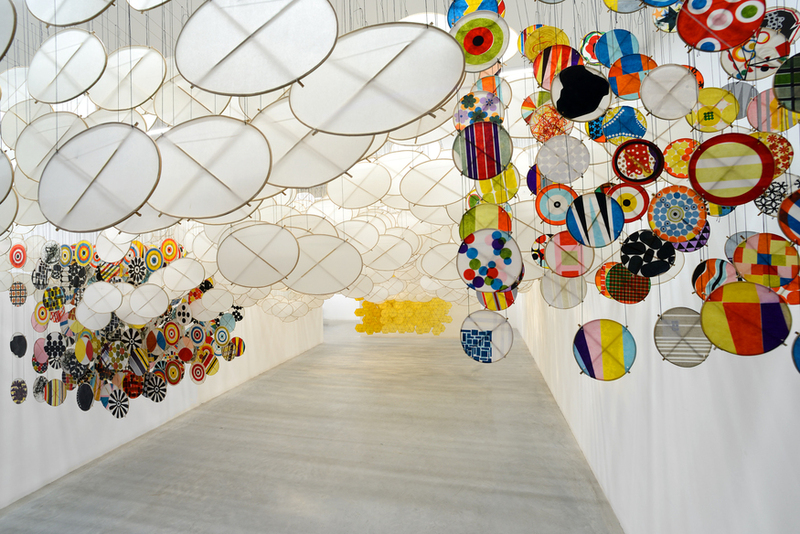 Hashimoto's installation is both imaginative and enchanting, and is likely to evoke happy childhood memories. 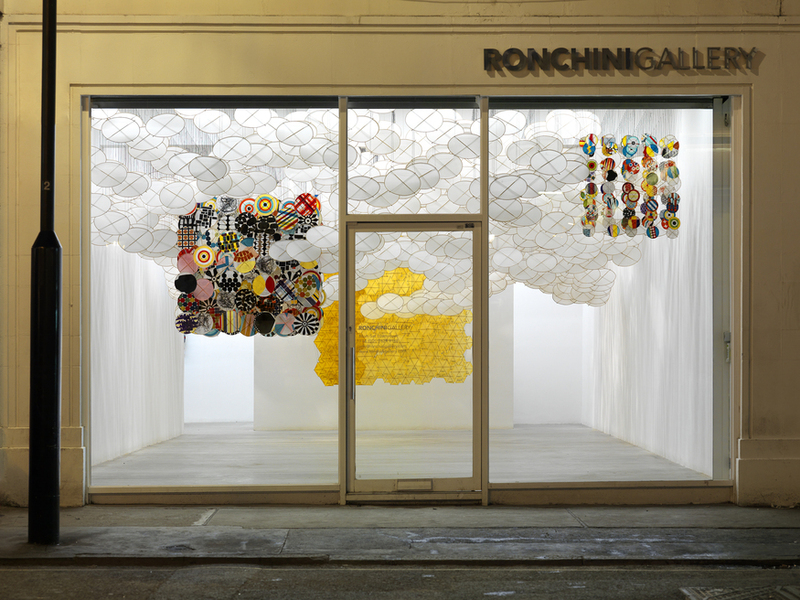 Jacob Hashimoto: The Other Sun is on at Ronchini Gallery, 22 Dering St. W1S 1AN until 28 August. Admission is free.